Leeds has a vibrant nightlife and, consequently, it can be difficult to choose the perfect club for a top night out. With such a plethora of great venues to pick between, it can be all too easy to just hop into a cab and ask the driver to take you somewhere with loud music and cheap drinks. This tried and tested method is often successful, however you are most likely to end up at somewhere like Tiger Tiger, Space, or Bed. 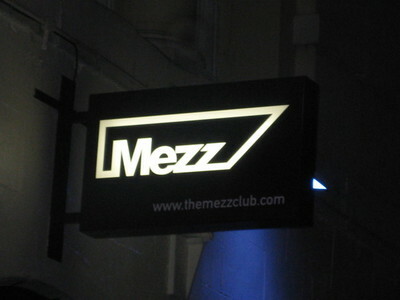 These places are a good laugh and definitely worth checking out, but if you want somewhere reliable, hedonistic and loose, then Tequila at Mezz every Thursday is the place to go to. 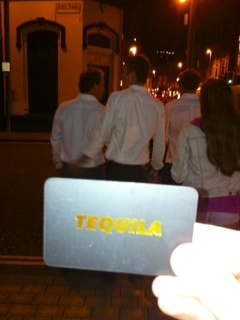 Tequila is famous for its cheap drinks - £1 shots of Tequila and Sambuca, £1.50 Carling, and £1.70 VKs. Waiting to get a drink can be annoying so to get round this the best thing to do is buy 2 or 3 VKs at a time. Another enjoyable aspect is Tequila TV. It's always on hand to make sure that there is a permanent record of all the embarrassing dance moves and shameful hook-ups. There is a McDonald's and a taxi rank 2 minutes walk from the club. Moreover, once you have satisfied your post-club fast food cravings and want a few more night caps before heading home, Bar Fibre is a minute's walk away from McDonald's. This lively bar, a popular spot on the Leeds gay scene, is renowned for hosting the unofficial Tequila after-party running from about 3am-7am. Considering there are so many things to do in Leeds, it is testament to Tequila that it is able to draw hundreds of students to pack it out every week. One thing that is worth bearing in mind is that the queue to get in is always very long. If you can get your hands on a paper ticket or, even better, a Tequila card then you can jump the queue and avoid standing half naked in the freezing cold. Tequila is hailed as the oldest and best night out in Leeds and has gained a cult following with many weekly regulars who ensure you can always rely on having an unreal night. This will be the sexiest, sweatiest and most memorable night you have in Leeds.